What does "benefits reconciliation" mean? Benefit reconciliation (also referred to as premium reconciliation or health insurance reconciliation) is a monthly review of premium invoices against your company's payroll deductions to check for any discrepancies. Your company's benefits enrollment information and payroll deductions spreadsheet may contain employee's name, effective date, coverage, and premium cost. The goal is to ensure there are no under-or-over payments, that employees are enrolled in correct insurance plans, and that you're not paying premiums for terminated employees. The point person for this process will then determine what action needs to be taken to rectify any errors. This process is is typically done by HR Benefits Specialist or someone in Accounting. 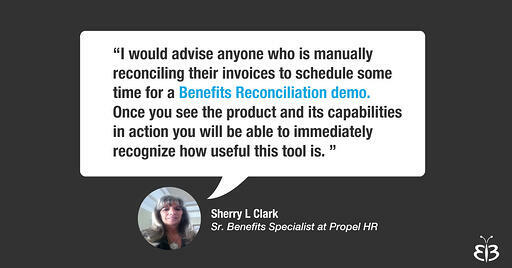 Why should I automate the benefits reconciliation process? Anytime there’s a manual process, inadvertent errors can be introduced. And anyone who’s ever done reconciliation of benefits, knows that this process is extremely time-intensive and prone to errors, especially for companies with a large number of employees (and many monthly changes!). It’s very easy to miss over-or-under payments or if an employee is in the wrong plan or not enrolled at all. If errors are not caught in time, employers can face unexpected expenses and potential lawsuits. How do companies typically reconcile their benefits? A lot of companies perform this process using spreadsheets or print-outs and rulers highlighting areas of concern or discrepancy. Either process lends itself to mistakes, and even more so if there’s a change in HR personnel where historical insights are lost. We also hear that some companies are not auditing their benefits bills at all, which really not advisable. What does EverythingBenefits’ automated Benefits Reconciliation solution offer? Our Benefits Reconciliation solution automates the entire process - from hours down to minutes. 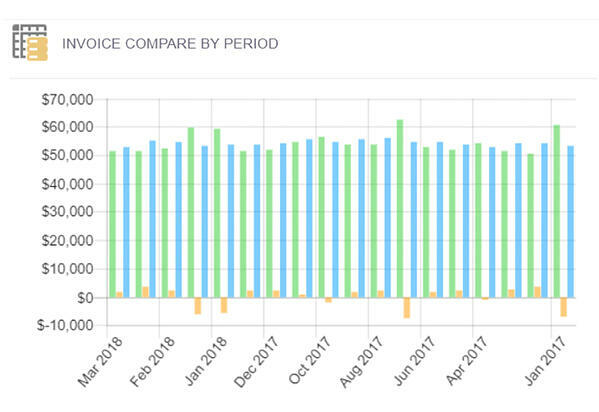 Using your uploaded invoices, it compares your monthly billing invoice against your carrier (for the same time period) to flag for discrepancies. Our solutions drastically shortens the reconciliation process through the use of advanced matching logic and a user-friendly customizable interface. You'll be an expert in no time! Drag-and-drop employee’s invoices from one side to the other to correctly match and correct for instances of under-deductions, under-coverages, and other discrepancies. High-Level view of your total calculated invoices vs what the Vendor is billing you, per billing period. What information is needed in order to audit the payments? 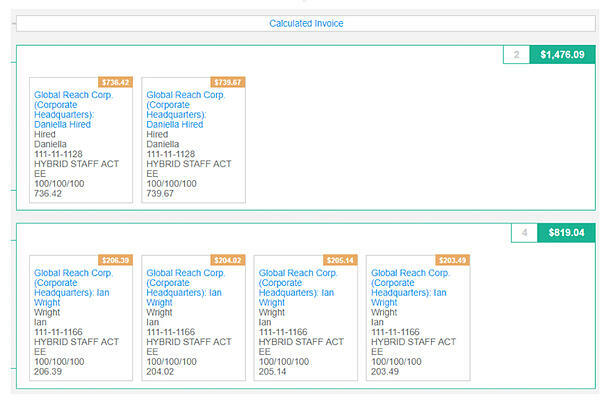 Payroll data feed - If your HR / Time & Attendance platform already provides Everything Benefits with full line item details from your payroll data, then we will have everything we need. We can either setup a new data feed to implement Premium Recon, or we can use your existing data feed which was configured for a payroll or other contribution export. If your platform does not provide us with full line item detail then you will need to provide us with a manual export of 6 months of line item detail from your payroll and you will need to manually import a file for each month of reconciliation once in production. Where can I learn more about EverythingBenefits' Benefits Reconciliation Solution? The best way to get to know our Benefits Reconciliation solution is to Schedule a DEMO for a one-on-one with our product specialist. We look forward to solving all your benefits reconciliation headaches!